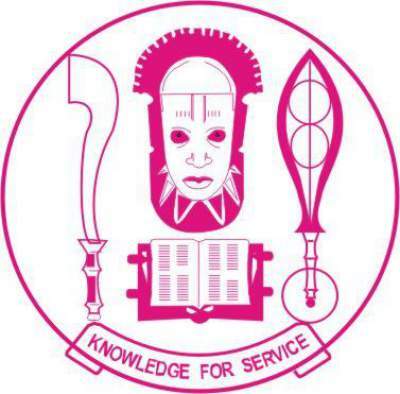 If you need answers to the above question boiling on Unilag cut off mark for all courses 2019 JAMB & Post UTME, then continue the reading as we decipher the marks to you. But firstly, what is cut off Mark? Cut off mark is a set mark set the Joint Admission Matriculation Board (JAMB) or schools that a student must get before he or she will be considered for admission. The cut off mark that the schools have the ability to set is the UNILAG Post UTME cut off mark while that of Jamb is solely set by the examination board. 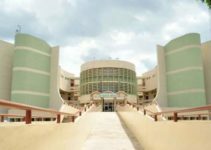 The University of Lagos, a university in Southwestern Nigeria, is a federal government university that remains one of the most competitive university in Nigeria in terms of admission. Even though, the university has released the cut off marks for the 2019 academic session. If you know, you are not up to the score, then do not bother to register for UNILAG post jamb as the university works well with their specified cut off marks. But if you meet the UNILAG Cut off mark for JAMB, then congratulation to you as you have completed about 40-50% of the admission process. You can proceed to register for the Post Jamb and awaits the admission. In addition to the Jamb Score of 200 and above, you must also possess five (5) credit passes at only a sitting in relevant O/Level subjects including Mathematics and English Language. Scoring more than 200 in jamb does not guarantee you an automatic admission into your preferred course! You must also meet the cut off mark of the Department you are applying to e.g. Department of History. 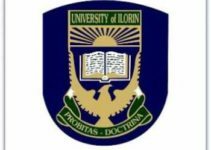 The University has designed it in such a way that after the Post Jamb examination, your score will determine whether you are qualified for the department you are applying to. So, in essence, it means that each department has its own cut off mark you must get before being considered admission into the department and the University at large. That means you are going to be scrutinized at two different Levels-University Level and Departmental level. Also, note that unlike other Universities that do calculate their post jamb and Jamb over 400, UNILAG usually calculates its own over 100, meaning 100%. And do not forget that you have to get some important documents ready before Post Jamb examination as they will be required from you during the internal screening process. Example of such certificates is the Original O/level certificate, Original copy of birth certificate, secondary school testimonial etc. In fact, it is advisable that you should go with all your academic certificates including your recent passports. This is to reduce the cost of transportation especially for those from very far places. There they are, the University Of Lagos, Akoka UNILAG cut off mark for all courses. However, please be informed that the cut off marks provided is for merit purpose. Other candidates from catchment areas like Osun, Oyo, Ekiti etc. are having different cut-offs even though the cut-off marks also vary within the catchment area and also within the courses. Those within the UNILAG JAMB cut off mark are actually having an upper hand during the admission process just like other Universities. So, if you are from the catchment area, lucky you. But, if you are not, you have to prepare so well in order to convince the school authority to give you an admission. However, you coming from catchment area does not mean that you should not prepare, in fact, you have to prepare so well as many applicants will be applying from your state. So, you need to prepare in order to win the competitive challenge. But you must also know that getting the required UNILAG cut off mark does not guarantee you an automatic admission. You still have to pray in order for you to get admission this year! Ensure you have chosen the University of Lagos as your first choice as the university do not use to consider second choices looking at the admission process over the years. You must have scored a Jamb Score of 200 and above in the just concluded Unified Tertiary Matriculation Examination (UTME). This is because you will not even be allowed to register for the Post Utme examination if your Jamb score reads less than 200. Still, you meet the Jamb cut off mark of your course will not guarantee you automatic admission! You still get Post Jamb to write. The next is for you to prepare so well for the Post jamb examination as that speaks well of your admission process. With you getting a high mark or even meeting the assigned cut off mark for your course in the Post Jamb, still does not guarantee you of admission even though you are getting there. Now, depending on your O/level, Jamb, Post Jamb and your fate in the admission process, the likelihood of you getting admitted in to the University will be determined. The more you get higher score, the higher your chance of getting admission into the University this year. Acquiring admission into University like the University of Lagos is one of the most competitive challenges one must be ready to face looking at the location of the University and how vigorous the admission process used to be in previous years. However, it is said that to become successful, you must be ready to sacrifice and as such you must be ready to prepare so well in order for you to emerge the winner in the competitive row. But you should know that you applying for courses with low number of applicants will definitely give you an upper hand during the admission process. Nevertheless, you have to prepare and get good grades in order for you to have a chance. And do not forget that you must have gotten a JAMB score of 200 and above for you to be able to apply for the Post Jamb. If you know that your Jamb score did not reach that, it is advisable that you should do the change of course or institution in order to have admission this year as time is going. That’s all about UNILAG Cut off Mark for All Courses (Jamb and Post UTME) 2019.
good evening.thanks for these wonderful update. please i got 247 in my jamb and 17 in my post utme. i applied for guidance and counseling.please do i stand any good chance for admission. pls these my number 080-. pls am in dear need for answer for these admission. thanks and God bless.